Ranthambore Tiger Reserve’s tarnished crown | Where to next? We’d heard all the hype about Ranthambore being the top tiger reserve in India, but our little group thought it was poorly organised and not really tourist-friendly. For starters, Anand found it impossible to book a Gypsy (a little 4WD) at a reasonable price, so all three of our safari drives were going be in a 20-plus-seater canter. We’re not exactly sure how the vehicle booking system works at Ranthambore, but Anand speculated that a ‘middle man’ might book out the Gypsies and then charge scalper prices for hiring them out. Unfortunately, a canter could be more accurately called a bone crusher. They’re uncomfortable to begin with and not made for Ranthambore’s extremely rough roads. Plus our drivers had a cavalier approach to driving. Management at other tiger reserves must think canters aren’t the way to go, because only two parks in the country use them. Disappointingly, Ranthambore has shorter hours too. Parks we’d visited earlier opened at sunrise or soon after, with safari drives that lasted anywhere from three to six hours. But Ranthambore’s gates don’t open until 7:30. The zone we were to visit was simply a drive in and out, following the same route both ways. We were heading back to our campsite by 9:45. Of course, India’s tiger reserves aren’t zoos and there’s no guarantee you’ll see anything, so we can’t complain about not seeing a tiger there. But we can whinge about the fact the drive in and out were so fast that our chances of seeing tigers were unfairly reduced. So we looked forward to our afternoon drive. It got off to a ridiculously bad start. The canter arrived an hour late, and then waited another 20 minutes for a knucklehead passenger who stood in the distance chatting on his mobile phone. He finally boarded—all smiles and arrogance. Gary snidely said something like, Thanks mate, nice work holding everybody up. In response, the fellow flipped Gary the bird. Anand shot into action. He leapt to the front of the canter and confronted the fellow (who happened to be an Indian) in Hindi. He reminded the guy that the gesture was considered a chargeable offence in India, and would not back down until the fellow apologised to Gary. It certainly wasn’t a heartfelt apology, but it put the matter to rest. It was also obvious that the fellow’s travelling companions were not impressed by his behaviour. So after a late start, we hoped to have a late finish, but no! It was another shortened version over the same road we’d covered in the morning. 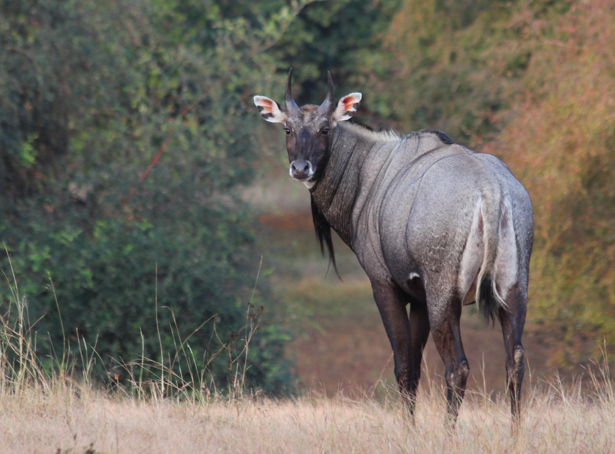 I did get some good wildlife pics—mostly of animals and birds we’d seen in Panna, Pench or Kanha. 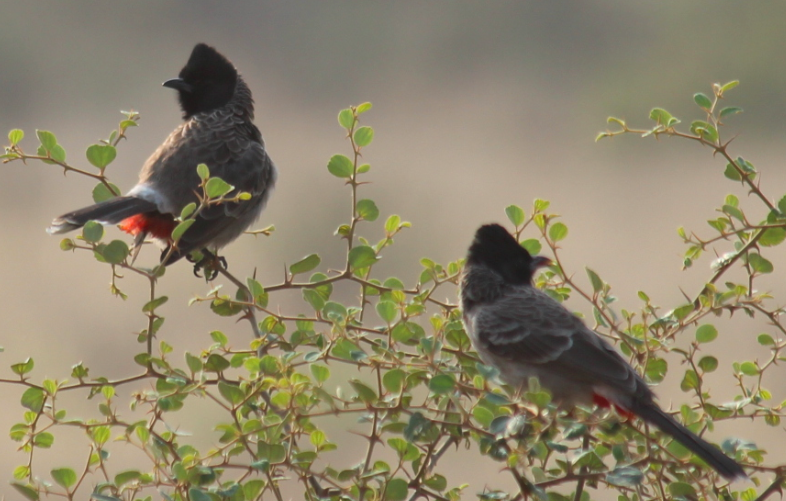 We saw our first Indian gazelle at Ranthambore, and also our first red-vented bulbuls. But the really big bonus came as we neared the exit. That’s when Poor John spotted a sloth bear off to our left. It trundled itself into the bush so fast I couldn’t get a pic, but we were thrilled to see it. We were sitting at the very back of the canter, and don’t know whether all the others even saw it. They didn’t seem to react. In case you didn’t know, Baloo, Mowgli’s best friend in Rudyard Kipling’s Jungle Book, was a sloth bear. Back at the campsite, we had a little group discussion and agreed to pass on the third safari drive. The next day we would get a mini trip through the grounds when we drove (in a Gypsy) to the Ranthambore Fort which is located within the greater national park. Anand and Deepti promised that we could make up the lost drive in another reserve. I like to think the replacement was the third drive in Rajaji when we saw three leopards. But to be honest, our time in Ranthambore wasn’t a complete write-off. In addition to a couple of new species, we saw a local dance performance, had an authentic Rajasthani meal and visited the fabulous Ranthambore Fort, which which I’ll write about next. P.S. I know that lots of people have had wonderful experiences in Ranthambore, but we were generally disappointed. I posted a review of our canter problems on Trip Advisor and, within a couple of days, a woman wrote to say I’ve just come back and due to a maniac driver have a severely injured right knee. Just want to say ‘thank you’ for your posting as it confirms that I’m not going mad! She definitely isn’t going mad and it makes me think our experience may happen too often. P.P.S. So if you go to India, think twice about spending the money to visit the tiger reserve at Ranthambore, but don’t miss the fort. And if all this reading has made you hungry, please check out my cooking blog. Sorry to read about the lousy experience you and others had at this Tiger Reserve site. Not every place you visit can result in an outstanding experience… I guess they get too many tourists (and take advantage, no excuses however) and it was compounded by a lousy “knucklehead” tourist who did not not give a “hoot” about anyone else. However, on the brighter side you were still able to blog a good story and pictures and more pictures for us to see. Again, some of the animals you posted photos of (and in the past) were new to me…. 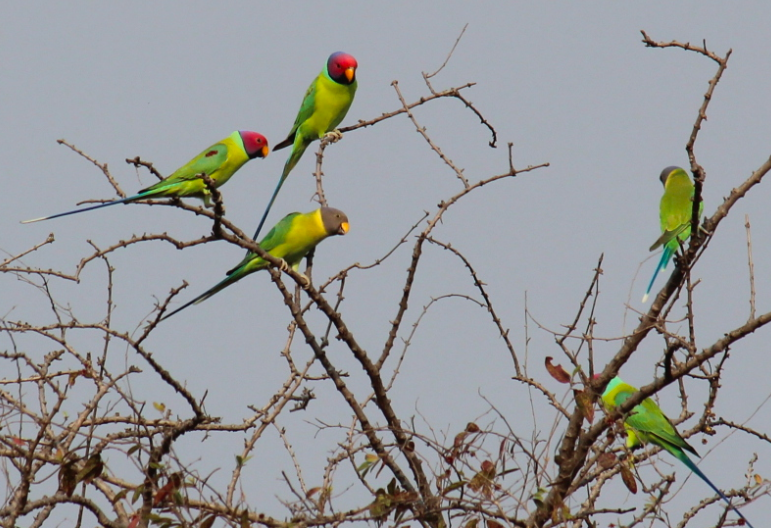 And I always love seeing the small Indian Parrots/Parakeets… like the “Plum-headed Parakeets” photo!!! I agree, Sy. I think Ranthambore takes advantage of its reputation by not serving its visitors. And I won’t complain about the wildlife we saw—every sighting is a bonus—but I wanted to warn travellers about what they might expect at Ranthambore. And I was delighted with the parakeet pic. 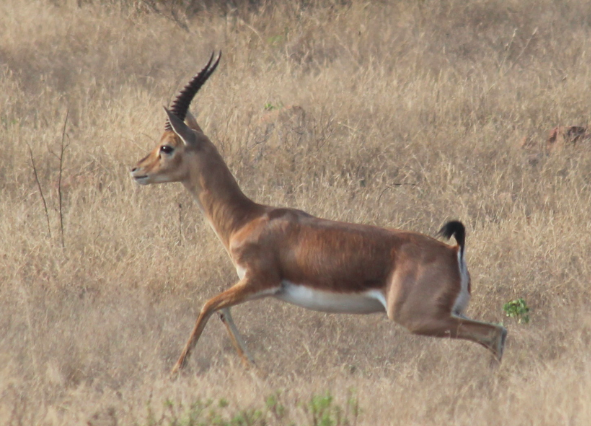 Probably the best pic of this species I got in India. 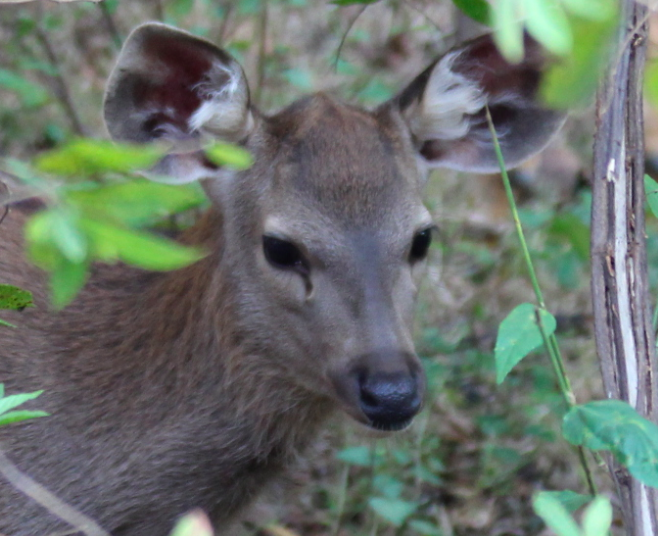 Love your photos of the spotted deer, gazelle, red-vested bulbuls, Rufous treepie and that Young Sambal deer is like the most shy timid looking creature I’ve ever seen! And of course the beautifully captured plum headed parakeets are quite the treat! My pleasure and thank you for the compliment. I should admit that it was easy to get the treepie and sambar deer pics. 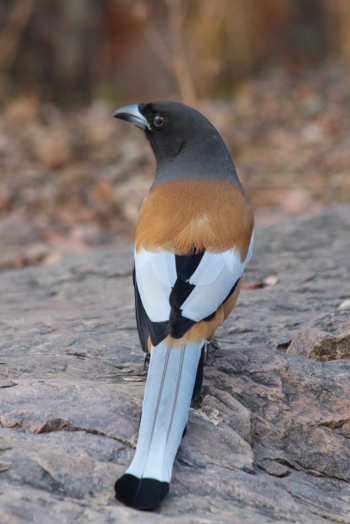 The treepie landed on the canter while we stopped for 10 minutes and remained nearby. The deer came close but under cover of bushes. My telephoto lens allowed me to capture its face. You must get tired of hearing it, but I must say – your photos are incredible!! Such wonderful memories for all the fantastic sights you’ve seen! Hi. I just came back from Ranthambhore a couple of days ago. We were a group of 4 and we had incredible tiger sightings in two out of four safaris. We booked gypsies, not canters. It is naturally better to do that, as you have more flexibility and control. Not only are canters unsuitable to the terrain, they are loud too. If you try to save money, there’s bound to be a flip side to it! The safaris can be booked online in advance, and you can contact your resort owner for the vehicle in case of a problem. As to the timings, parks always open late in winters as the sun rises late! However, we were always at the gate by about 7 and they let us in. Safaris end at 10.30. So please make sure you read up beforehand and make the right choices! I’m glad you had such a good experience in Ranthambore. Also glad your comment confirmed that canters are loud and unsuitable for the terrain. 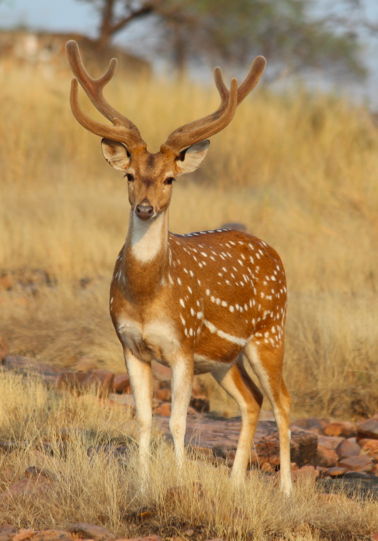 So you know, our group was well informed about Ranthambore before we set out. Our drives and guides were booked months in advance, but we still couldn’t get into one of the smaller Gypsies or a tiger-popular zone. On both our drives, I thought we were treated like second-class tourists, and concluded that success in this park has more to do with knowing someone or being part of some resort scheme. How extraordinary. I wonder what zone you visited, and how long your driver and guide had been on the job? Our drive was straight in and, after a 10–20 minute wait, straight out. Virtually impossible to make a mistake. But based on our winding tours around other parks, I can imagine your concern and puzzlement. Good on James for keeping his wits about him. That said, from what we were told, I think you were probably safe as long as you were in a vehicle—not that you’d want to spend a whole night there. Thanks for sharing the experience. I look at the photos and know I have no business complaining about the day. But what annoyed me most was the park’s cavalier attitude towards visitors. And I, too, had not known Baloo was a sloth bear! Your parakeets pic is beautiful. Hope you enjoy your trip to India. Thanks for stopping by and for commenting. Sorry you didn’t get to see a tiger. I wish i would have seen this review before we went (in march 2014). That way we would have skipped Ranthambore and spent a few days more in Pushkar or Bundi instead. Our morning ride was not that bad but the one in the afternoon lasted less than an hour, there was no guide in the canter even if one tourist had paid for one, we came back to the hotel full of bruises and one person even fell in the alley at some point because the driver was going way too fast in a bouncy road. Horrible. He also never stopped when we saw animals. We had pictures from our morning ride but for some people, it was the only ride they had. Since we bought a package-deal for a Rajasthan tour, i don’t know how much we paid for this but it was not worth it, i’m sure. I’m so sorry you had such a disappointing experience at Ranthambore. I hate to think how often this happens and to how many people. I feel especially sorry for the people who had just the one ride. Thanks for sharing your the details of your afternoon ride. Maybe it will help someone in future. Great pictures! Sorry about the problems though. Thanks. 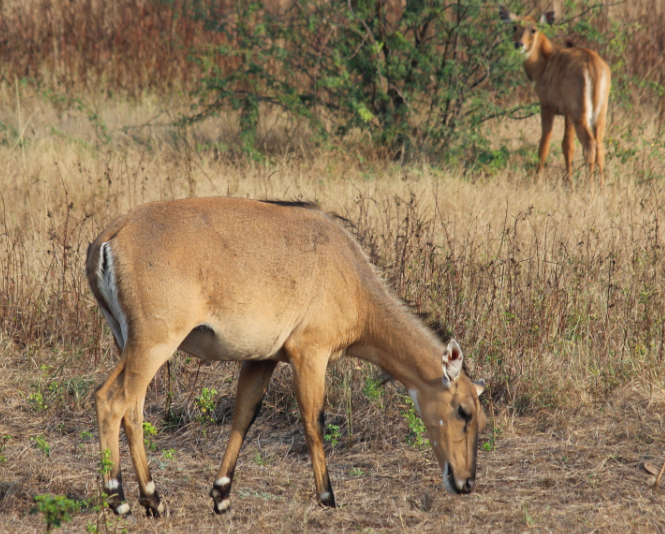 We’ve been on scores of safari rides in India, and this was the only really disappointing one. That said, we did see a sloth bear, which was a bonus. One of these days I would love to go on a safari! Ranthambore Fort | Where to next?